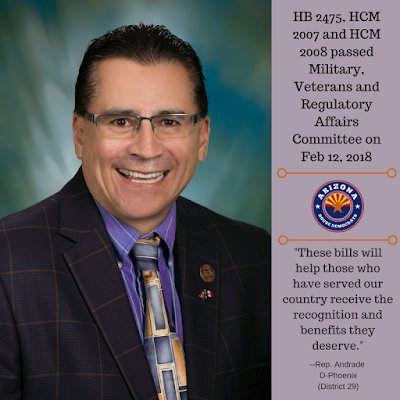 Rep.Richard Andrade's House Bill 2475 and House Concurrent Memorial 2007 and 2008 passed the House Military, Veterans and Regulatory Affairs Committee on February 12, 2018. To read HB 2475 click here. To read HCM 2007 click here. To read HCM 2008 click here.